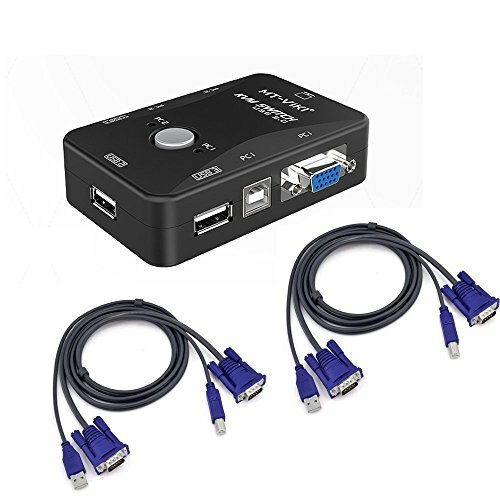 USB VGA KVM Switch allows you to share one USB keyboard, USB mouse, and VGA monitor to control 2 computers. You can switch between 2 computers using a manual switch located on the top of the KVM unit. 5. Press the manual switch button to switch between the two computers. Please make sure the VGA Input Connector 1 and USB B Connector 1 were plugged in the same Host. VGA IN1 and USB IN1 is corresponding. Do NOT support VGA IN1 and USB IN2 mixed insertion.